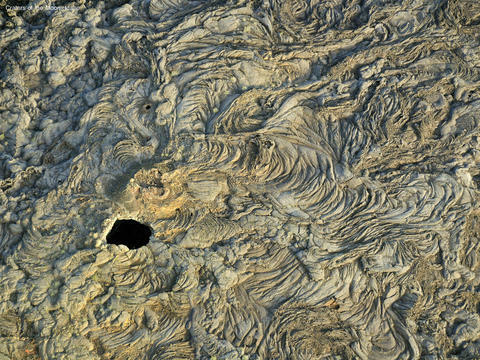 ‘Wonders of Geology’ is simply, a visually enticing application of some of the world’s encapsulating and breath-taking locations. 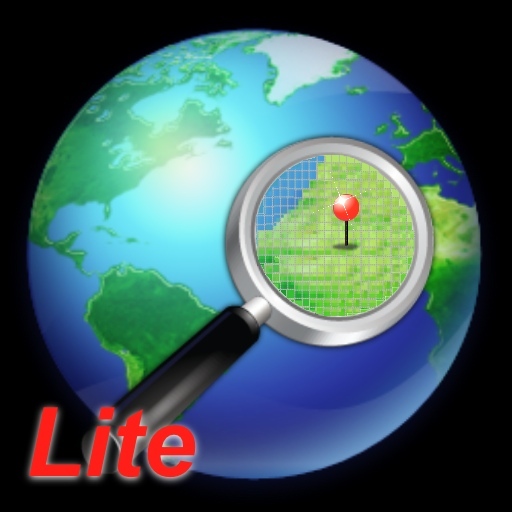 This geology app doesn’t merely guide you through the factual information regarding for example igneous and metamorphic rocks but takes you on a virtual discovery of the spectacular landscape which surrounds us. Upon first opening the app you are provided with an ‘introduction’ where Michael Collier narrates his experience and talks about the fascinating landscapes in America and the fundamental importance of Geology. Through this introduction you are provided with an enchanting slide show portraying the landscapes of America as he talks. The author’s passion can clearly be identified as he talks about his personal experience and the ‘Wonders of Geology’. The main interface of the app is simple with the use of high quality images and the user is able to choose the relevant topic. With three main topics, several subtopics and key points the ease of interaction will make learning convenient for the user. When clicking on a heading you will be taken to an interactive slideshow explaining that concept. For example, clicking on Erosion you will be delivered with information in the form of notes. Sliding left on the screen you will be taken through various sources of multimedia including 3D models and beautiful geographical locations within America explaining how the concept is formed in real life. The 3D diagrams are visually appealing and labelled showing the important aspects of the features being explained. The use of arrows and high quality diagrams make the concept easy to understand for various age years. The notes providing in-depth factual information also have highlighted key words within the text. It is evident that the geographical lexis may be difficult for some users to understand. Therefore a short explanation is provided for key words which are important and will allow learners to develop their understanding and knowledge of the concept. This is beneficial as it allows a wide range of people to use and understand the app; the extra facilities appealing to younger or beginner learners of Geology, something which is vital in the understanding of each topic. The beautiful landscapes are accompanied by the 3D models so that users are able to easily identify which features are being narrated, how they were formed etc. The use of passionate vocabulary, adjectives and metaphors make the experience even more magical as Michael Collier describes the ‘fantasy lands’ and how he ‘imagines hearing the whistle of an ancient wind’ allowing the user to imagine and encapsulate the imagery of the sandstone they are viewing. The narration is easy to understand making the app accessible to a variety of different ages. Each image is narrated with key information and facts but also subjective impression and personal perception is portrayed to the user. This makes the app not only a factual source but an exciting way to learn too. The user has the chance to pause, exit or return to the main menu whenever it suits them throughout the slideshow. Although the each topic is divided into several parts the app can be played from beginning to end which is one continuous slide show, covering all the topics listed in the contents. This way the user can ensure they cover all the content within the app and when the user exits the app, upon returning they will be taken to where they left the app. 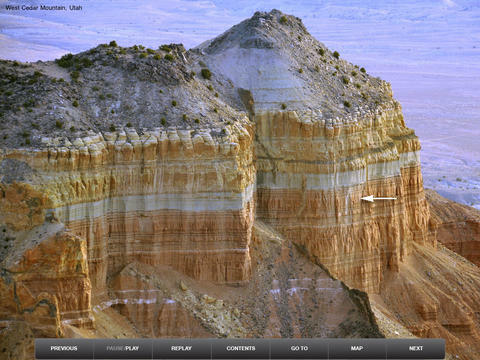 Overall, this is an exceptional app which takes the fascination of geology and beautiful landscapes to a new level. It successfully makes learning more interesting and provides a virtual experience captivating any user who accesses the app. The use of quotes from authors within the app makes it an aspirational source and conveys the passion and personal integration the author had with the implementation of the app. In future references, a resource allowing users to test what they have learnt would increase the benefits and the improve the learning aspects for the user ensuring that users are not only engage and enjoy the app but able also learn, process and retain the factual and important information the app contains. School Library Journal calls it "one of the ten best apps of 2012." Wired magazine's Geekdad calls it "a fantastic resource for kids and adults of all ages." Kirkus Reviews calls it an "exemplary work of multimedia publishing." And these are just a few of the superlatives for this stunning and informative app. 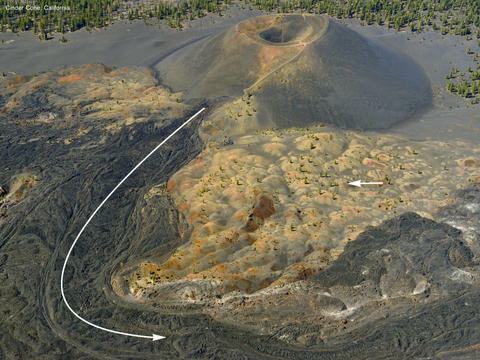 Michael Collier is a geologist as well as a photographer. His images inform as well as delight. As we swipe through each photograph, we hear Collier’s smooth, accessible narration telling us where to look on the mountain, what to look for and what it means. And leads a field trip over America’s great mountains. 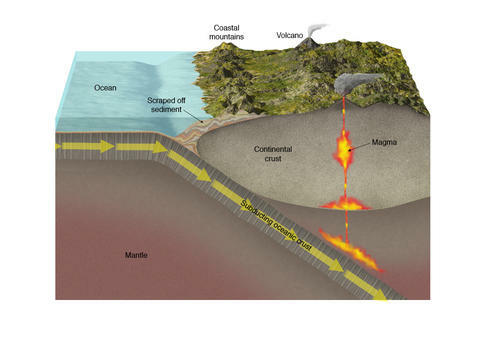 Wonders of Geology has all the features of a cool science app: animated diagrams, pinch and zoom, thumbnail navigation, maps, etc. But like a great book it also has an author, a man with a passion for his subject and a desire to share it with others. It’s as if we’re with Michael Collier in the cockpit of his Cessna. As we look out at the spectacular landscape, he speaks to us. Mystery becomes understanding; the wonders of the earth shine. 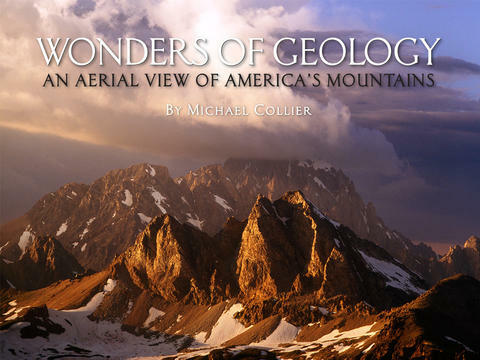 About the author: Michael Collier is the author of 17 books on geology and has received awards from the U.S. Geological Survey, the National Park Service and the National Science Teacher’s Association. In 2005, he was named winner of the American Geological Institute’s Award for Outstanding Contribution to the Public Understanding of the Geosciences for his decades of work.